The European Commission is monitoring the budget impact of possible new fiscal measures to be introduced by the French government, the vice president of the EU executive said on Monday. 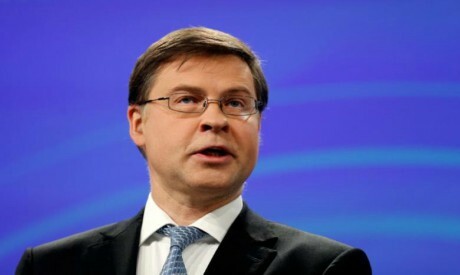 "We are monitoring closely the potential new measures being announced, but we cannot comment before they are properly announced and detailed," Valdis Dombrovskis told EU lawmakers. His remarks came as French President Emmanuel Macron pledged to cut taxes for pensioners and raise the minimum wage in January, after a wave of protests against him.